Make every visit count at Marathon! 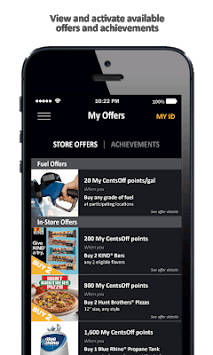 MakeItCount™ is the new rewards program that allows you to earn every time you purchase fuel, select c-store items, and more at thousands of participating Marathon gas stations. 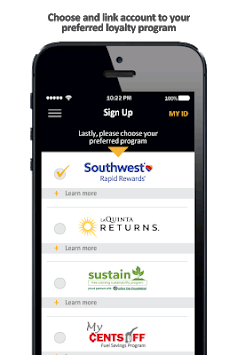 MakeItCount™ allows you to earn directly in the loyalty program of your choice, then redeem for CentsOff™ fuel discounts and more. Simply enter 11+ Your Phone Number, swipe a linked MakeItCount™ card or scan your MakeItCount barcode to earn at thousands of participating Marathon locations. Thousands of Marathon locations – but not all locations – are participating locations. 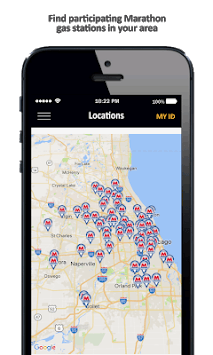 New locations are added regularly. Please use our location finder for a list of currently participating locations. UI refinement and some minor enhancements.